You can see the humongous chimneys of Eggborough Power Station for miles before you actually turn into the main entrance. In a cluttered vista of power lines and industry, they stand as monumental guardians. This is Yorkshire’s power station square mile (not literally but they’re close enough) with Drax and Ferrybridge also in the vicinity. 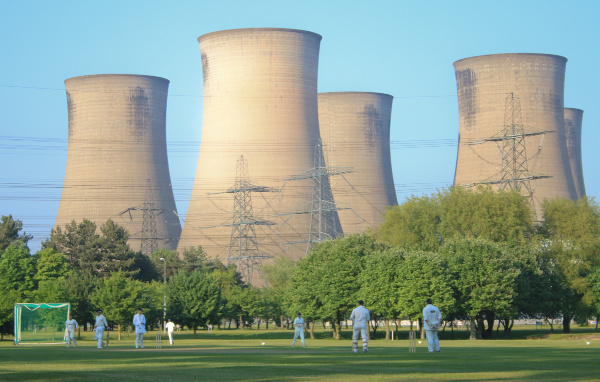 I’m at Eggborough Power Station Cricket Club with an assignment for The Cricket Paper (keep an eye on the next few weeks) and to get a sense for this Cricket Yorkshire article of how corporate and government energy machinations might end up affecting – or even displacing – a cricket team. I begin spectacularly well. Swinging my legs out of the car and planting my left foot down a hole hidden by tufts of grass that nearly causes a serious injury. Unruffled (we’ll gloss over the choice use of red-faced adjectives), the first impression is one of cricket ground framed in green with a wall of trees (sorry, I’m no Monty Don…I wouldn’t know an oak from an elm if it fell on me) just beyond their clubhouse. The power station itself is in the distance and utterly dominates but how can it not? Those concrete towers are hundreds of feet high and yet far from ruining the view, it completes it. The sheer scale rendered me speechless and then I kept repeating “Geez, would you LOOK at that!” to no-one in particular. 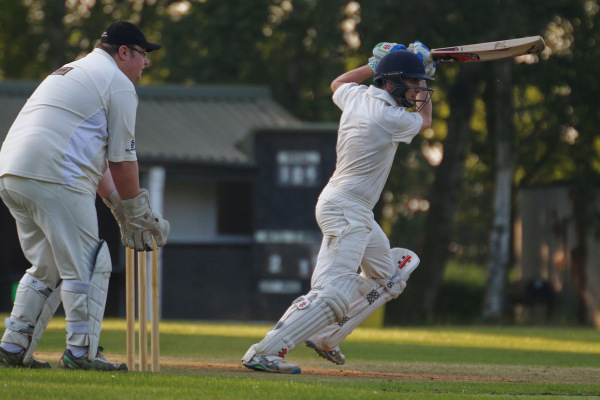 Eggborough Power Station Cricket Club are a small band of players (about 20 in all) who compete in the Snaith & District Evening Cricket League plus Division 5 East of the Pontefract & District Cricket League on Saturdays. They were much as I’ve come to expect from so many cricket clubs across Yorkshire that I visit: friendly, unassuming and content to share their club’s fortunes, whatever direction the winds blow in that regard. 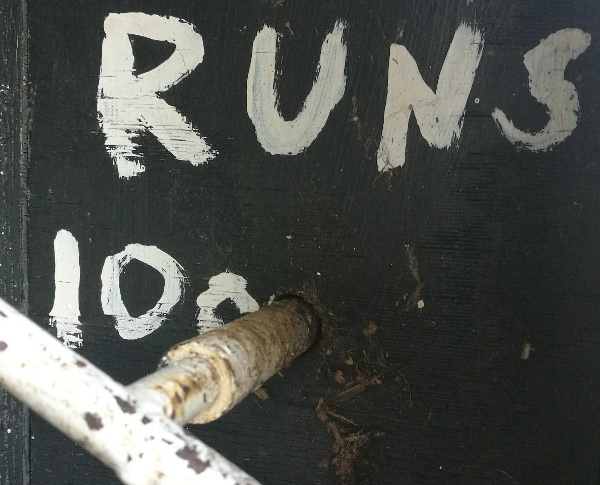 Eggborough’s scorebox had seen better days with a crank of a metallic corkscrew to move on the numbers. No wifi-enabled live scoring here but that didn’t make the experience any better or worse. Just different. The scorer later admitted that one of Eggborough’s batsman had been dismissed on the seventh ball of the over but having been the man in the white coat out in the middle on many occasions, it can be fiendish hard to count to six – particularly as the mind wanders as to what’s for dinner. The club has been around for just over half a century but I was bound to ponder how secure its future felt given the cricket is interwoven with the fluctuating fortunes of a power station that may or may not be around in future decades. 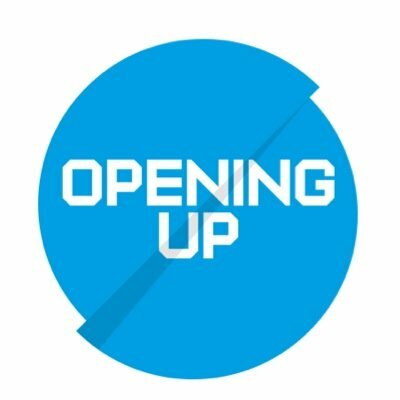 It’s worth noting that though coal-fired power stations are being phased out, the infrastructure and expertise is already in place to pivot into other sources of energy. So at Eggborough they are supplying electricity for the National Grid until 2018 but are aiming to replace what’s there with a new gas-fired alternative. Those at Eggborough PSCC are chugging on and doing their best to keep this family-friendly club going. They say it’s tricky to find sponsors and those who are willing to do the endless jobs associating with a club but I suppose there’s nothing new there. 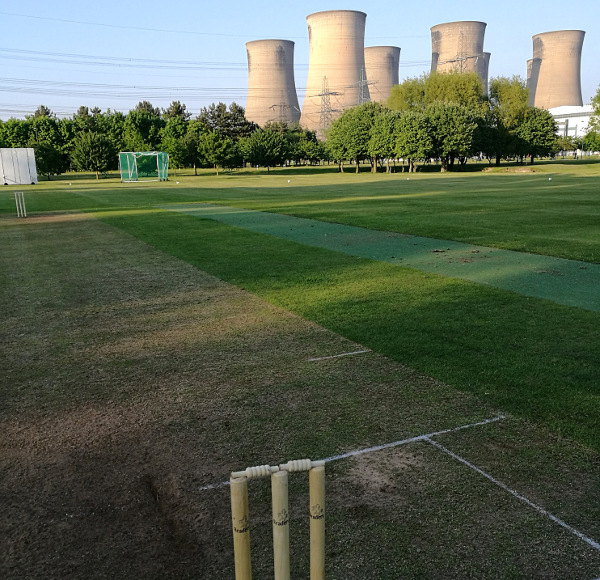 It’s worth noting that the power station supports the cricket club by not charging them at all to use the facility and also pay for the water, electricity and the mowing of the outfield. Meanwhile, what they unquestionably have going for them is a cricket setting like (almost) nowhere else in the country. 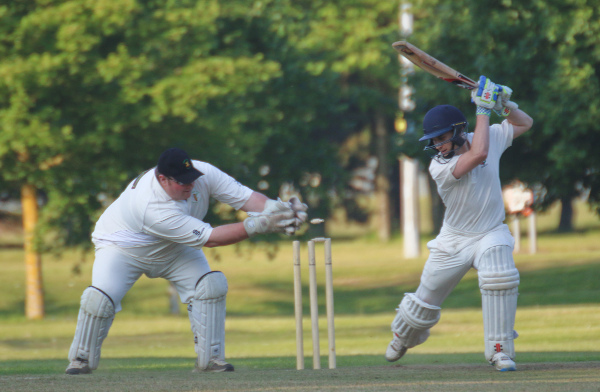 Apparently there is a loud ‘bang’ from time to time – pressure from an air valve being released – that has been known to spook a batsman, Liam, Eggborough’s midweek captain, tells me with a wry grin. Eggborough’s bowling starts off a little rustily and we had lapses in action as the ball was ferreted from under a tree or in a bush. Carlton Towers didn’t appear to have come to demonstrate a timid gameplan and threw the bat with gusto as I set up with the camera and fired off some frames. 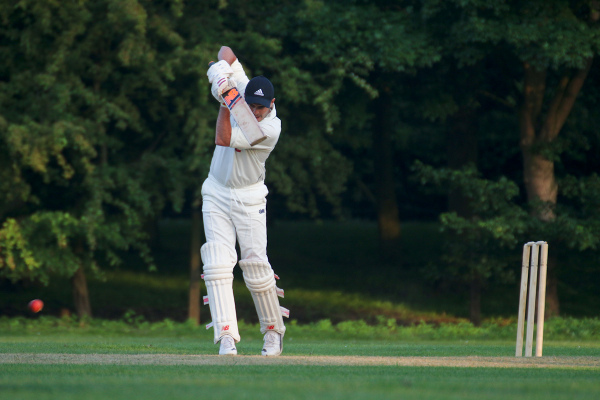 I can’t recall what the opposition reached – there’s no detailed record on the ECB’s Play Cricket system – except to tersely announce that ultimately Carlton Towers went on to win by ten wickets. 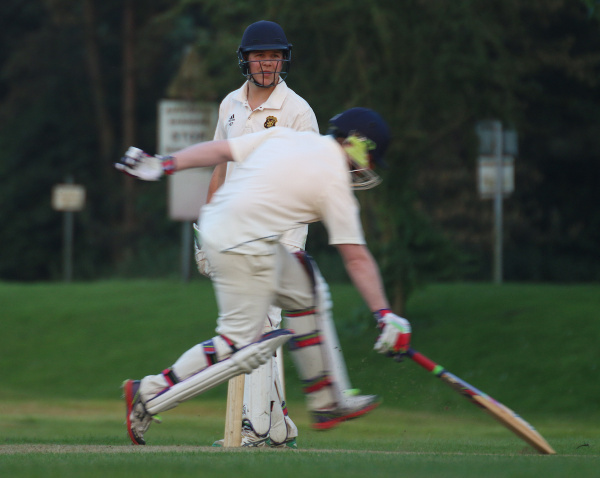 As Eggborough batted second, from memory, it was ultimately a 70-run defeat or so but it doesn’t matter hugely. Cricket was played. The sun was out. Job done. When Eggborough batted, the evening sunshine was casting lengthy shadows as invisible stiltmen stretched their skinny legs across the square. It was just before 9pm when the final wicket fell and everyone hopped into their cars to depart to the pub. When a cricket club is a tenant within a company’s ground, who can be sure what their future will be but everyone I talked to at Eggborough’s match with Carlton Towers was proud to be part of the team. I trust they’ll be there for another hundred years and then some. In terms of personnel, the cricket club isn’t nearly as interlocked with the power station as with past generations – there’s only one employee who now dons the whites. Instead, Eggborough rely on word of mouth to bag them the odd player added to those who are still at Eggborough years after first coming down as juniors. One lad was turning out for Eggborough midweek having previously been at Houghton Main and now at Old Sharlston at a weekend. Everyone had their own tale. You wouldn’t assume that a cricket ground in the shadow of a whacking great power station would dazzle but it does. Dare I say it but there’s a brutal beauty to it but the ace in the hole was its cricketers. Welcoming and sharing their stories with me while waiting to bat, they poked fun at each other including a stumping that provoked howls of laughter. Cricket, in of its delicious variety, is alive and kicking in these parts. 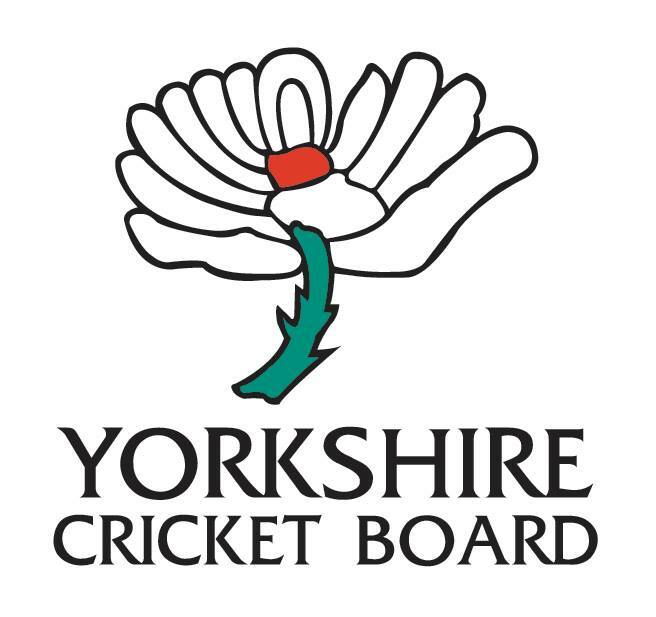 Joining the Cricket Yorkshire newsletter to keep up-to-speed on competitions and the very latest at CYHQ doesn’t sound so bad, eh?! **If you think this article and photos added to your day’s enjoyment, any and all article shares on Facebook and Twitter by the buttons below are always appreciated. 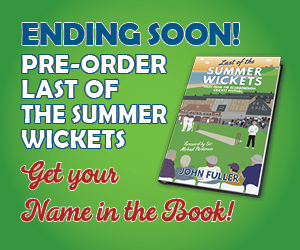 Helps spread the word about Cricket Yorkshire far and wide…thanks a million!